For a while I had been thinking about making an Alphabet Box for Otis. I really love this example at Wildflower Ramblings and wanted to make something similar. However when I went to buy a suitable box with drawers I could see that I could make an alphabet box for substantially less. I used two of these sectional boxes which were only $5 each from our local hardware store. There are 24 sections in total and I am fine with not having an X or Z. I also thought that I could easily use these containers later (for storing materials, sewing supplies etc). Our boxes are 31 x 20 cms and the sections are a good size to hold miniatures. Printed materials would also be useful if lacking in real objects (these and these printed initial sound cards are suitable and good for gathering ideas). As you can see we have a few sections where there is only one or two objects and I will continue to add to the box as I can - ever better if Otis can help me add to it! 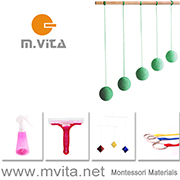 Montessori Services sell sets of 100 miniatures which would be lovely, but is also good to look at for ideas. These are all phonetic starting letters (Emu was not a good choice) and it's important to think about your child's level of knowledge. One child might call it a 'r' rainbow lorikeet while to another child it is a 'b' bird. Our boxes are portable too which is fantastic, easy to store and stack. The best thing about having an Alphabet Box at home is you can play lots of alphabet and sound games without having to look for new objects. I know many of these items are small so supervision and keeping it out of the reach of younger siblings is important. But the attraction is to the small things. 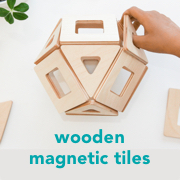 There is a very good reason why miniatures are so well used in the Montessori environment and it's the sensitive period for small things, children of this age are often intrigued, fascinated by small objects, to observe and feel. Wonderful hands on learning!